The other day I was cleaning my garage and I stumbled onto a treasure trove. Or a clearomizer graveyard, whatever you want to call it. I was over the moon! I didn’t see some of that gear for years, and a trip down the memory I experienced was actually a roller coaster of emotion. My Vivi Nova was there, along with the awesome (for that time) Protank Mini. Seeing my Kayfun Mini almost brought a tear to my eye. Don’t get me wrong – I have a lot of gear lying around, but these great (and old) tanks will always have a special place in my heart. I forgot how I enjoyed those tanks in the past and that got me wondering: what happened to mouth-to-lung vaping? I’ll be honest – I didn’t really keep up. Once I moved to sub-ohming, I was only ever interested in bigger and bigger clouds. However, those mouth-to-lung tanks really served their purpose back in the day and I’m not even sure if I would ever be able to move away from the stinkies without them. I love my cloud generators, but chugging on them is definitely not comparable to smoking, and that is what I was looking for at the time. If you’re a veteran vaper, you know exactly what I’m talking about. If you’re a newbie, just breaking into the vaping world, I guess I’m confusing the hell out of you. To put things into perspective, let me tell you a bit more about the good ol’ days of mouth-to-lung vaping. Before the over-inflation of sub-ohm gear, vapers were content with mouth-to-lung tanks. Most of them were clearomizers. Think of them as tank predecessors. They looked far less impressive – they were smaller in size, had limited airflow control, and used coils with astronomical resistance ratings from 1, all the way to 1.8 ohm ratings. That’s pretty different from what most vapers are using today. Also, M2L vaping was a condition of the technology we used. Old systems just couldn’t produce enough vapor for a satisfying lung hit. If you wanted huge clouds, you needed the engineering know-how – the only option was getting a rebuildable atomizer and building your own coils. That all changed in 2014 when Aspire released Atlantis, the first tank system that came with pre-made coils under 1 ohm. That’s the point when everyone went berserk for cloud-chasing, including yours truly. 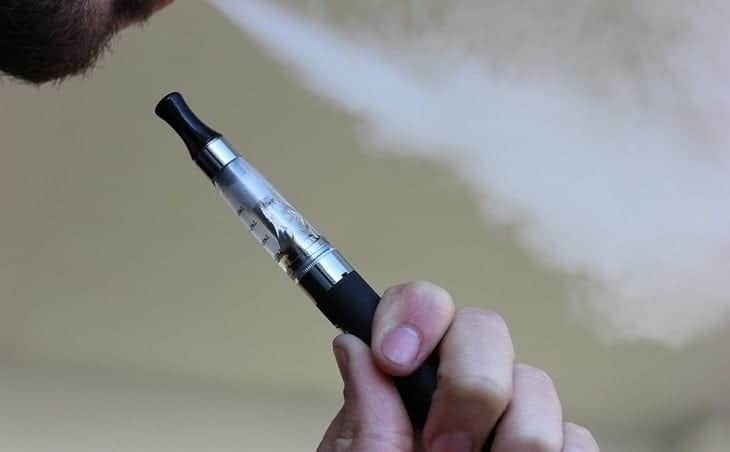 While I’m sure that most of us veteran vapers will sneer (politely and out of view) at mouth-to-lung vapers, thinking they are missing something or are ‘not really vapers’, the truth is that this old-fashioned technique has a lot of stuff going for it. What’s the appeal of mouth-to-lung vaping, especially in 2017 when there are so many (supposedly) better tanks on the market? First of all, it’s as close to smoking as you can actually get. If you want to use vaping as a cessation method, you have to think about both your physical and psychological needs. Physical needs can be sorted out with a high nic vape juice – your body is getting the same thing as with cigarettes so there are no withdrawal symptoms. However, psychologically, you know you’re not smoking. With sub-ohm setups (especially if you pair them with a low-nic juice, as you have to in order to keep your throat from burning) there’s no throat hit, there’s no flavor savoring, and there’s no approximation of smoking. M2L vaping is as close to smoking as you can get, ticking off all the above-mentioned boxes. If you close your eyes, you can pretty much swear you’re smoking the real deal. It’s not 100% same, but considering that you would have to light up a stinky to get the same feeling, I’d say it’s close enough. If you’re a beginner vaper struggling to completely kick your smoking habit, I would suggest you try a mouth-to-lung tank and see how that goes. Sure, your cloud production won’t be comparable to sub-ohm setups, but that doesn’t matter. All that matters is that you stop smoking – you can get into cloud-chasing at a later date. Sub-ohm tanks are flooding the market almost on a weekly basis. Being an industry insider, I keep tabs on most of the new releases but I have to admit, even I drop the ball on occasion. But what about mouth-to-lung tanks? As I already said, I wasn’t keeping my ear to the ground when it comes to M2L tank releases. However, I did do some digging (and some online ordering) in hopes of catching. Right now, whenever I get bored of my huge clouds, I swap my Uwell 3 for a Nautilus 2 tank. I’m perfectly happy with it and I think it’s a great little M2L tank with a lot going for it. Here’s a list of M2L tanks that are available in 2017. If you’re looking for a good M2L vaping experience, choose any one of these and you won’t make a mistake. Vaporfi Pro 3 Tank – comes with a no-spill coil swap system and has a 2.5 ml capacity. Very decent flavor and good vapor production. Kanger Subtank Mini – its 5 ml tank means that you don’t have to worry about refilling for quite some time. Can be used for D2L vaping, but, with closed airflow, it’s an M2L beast. Aspire Nautilus X – if you need a bit more flexibility, you can get the Aspire Quad Kit. It allows you to built Nautilus X, which is a great M2L tank that delivers great taste. Aspire Nautilus 2 – built specifically for M2L vaping, Nautilus to is the pinnacle of smoking-like tanks. 2 ml capacity, excellent design, and superb flavor – who wouldn’t want it? Joyetech Cubis – Cubis’ forte is its no-leak top fill system. It’s one of the rare new M2L tanks I had the pleasure of trying out and I wasn’t disappointed. You won’t be either. Innokin Endura T18 – the Prism T18 tank is another one designed specifically for M2L vaping. It has a 2.5 ml capacity and comes with flavorful 1.5 ohm atomizer heads. Of course, there are more options out there. A lot of manufacturers will throw in good high resistance coils with their new tanks in an effort to satisfy as many vapers as they can. Kanger Aerotank Plus and Smok TFV4 Mini are just two that come to mind, although they are predominately geared toward direct-to-lung vapers. So, Is Mouth-To-Lung Vaping In Decline? Well, it might have been in decline back in 2014, when D2L tanks first entered the scene. However, I don’t believe it’s in decline now and it most certainly isn’t dead, as some vapers are professing. Mouth-to-lung vaping still serves a purpose and even though it’s no longer my cup of tea, it seems to have a lot of fans, especially among beginner vapers. How about you? Are you an M2L vaping fan? Drop down by the comment section and let me know which are your favorite mouth-to-lung tanks. I’m sure that I didn’t include everything up there and if there’s something really good on the market right now, let me know so I can add it to the list.